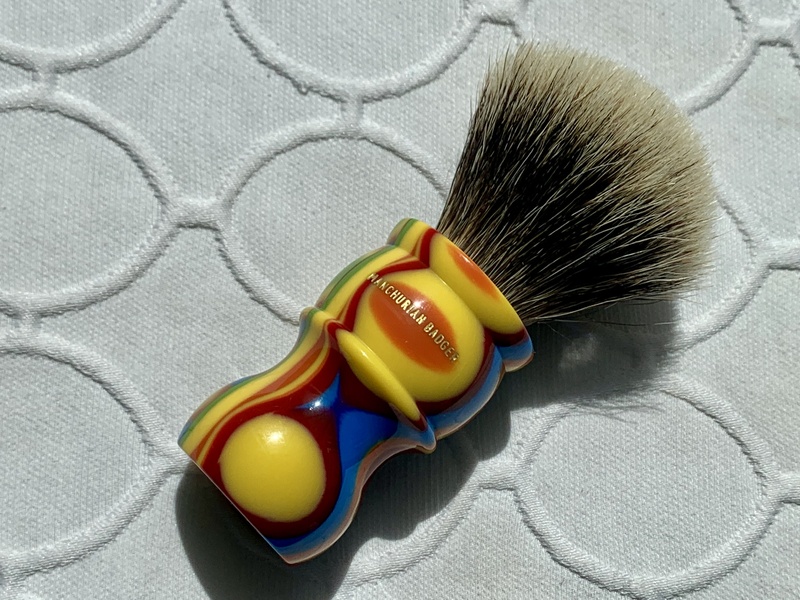 I need to pay for some recent acquisitions, so need to thin the Den. 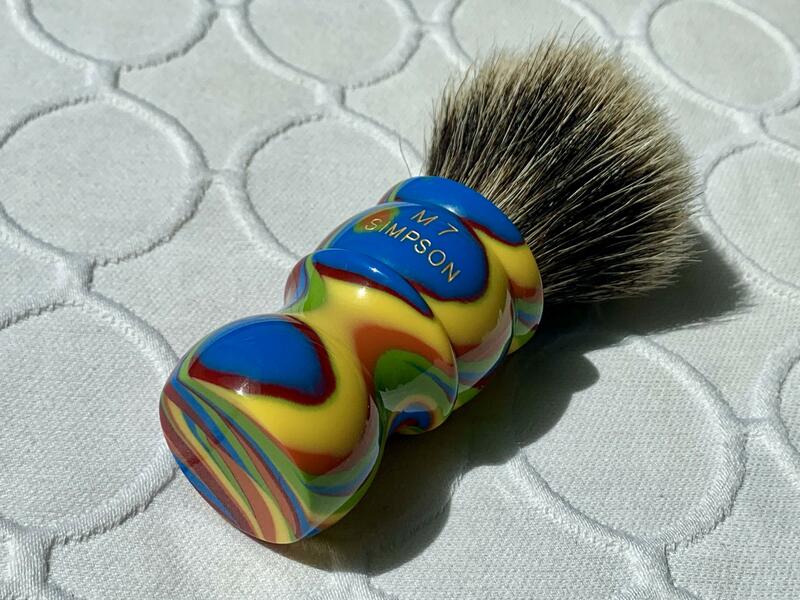 Up for sale is a Simpson M7 in Disco Haze with Manchurian Badger. 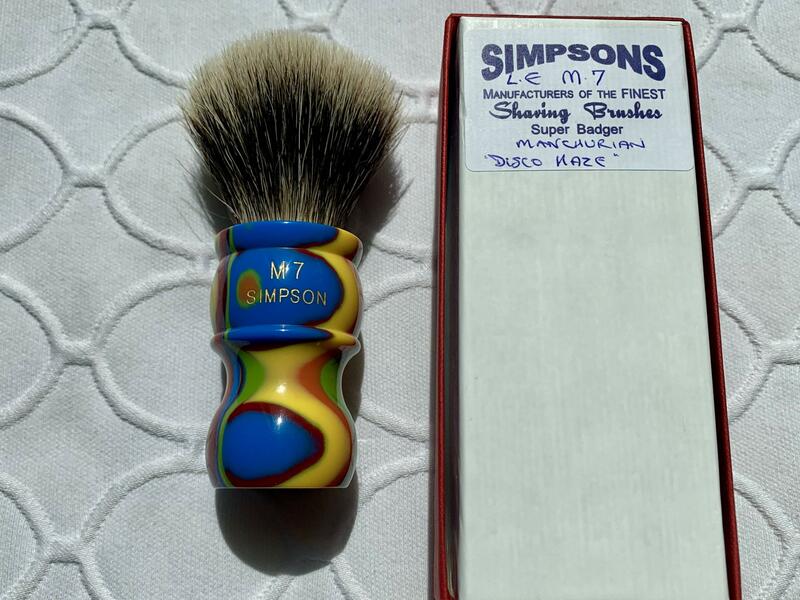 I am the original owner, and purchased directly from Simpson. 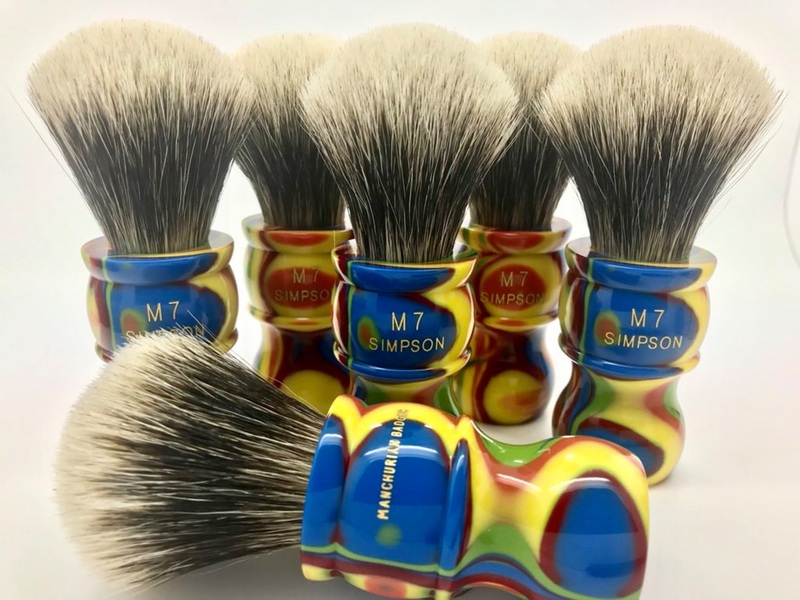 This is the only release of six Disco M7’s that I have seen released since I first started wet shaving. 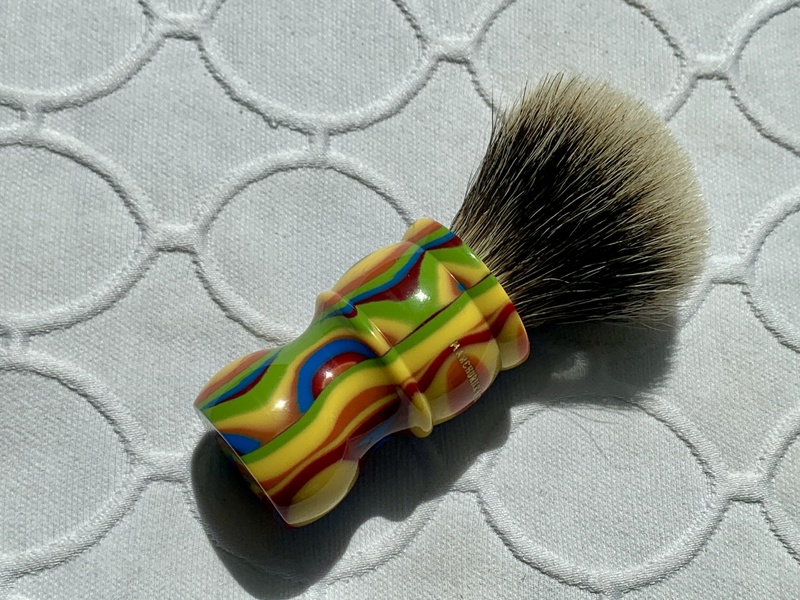 The Brush has been palm lathered one time to clean, and has never touched my face. I paid $318.95 from Simpson, and am selling for $240 $220 $205 Shipped Priority CONUS and PayPal only. Please PM with any questions or if you would like more pics. Stunning!! 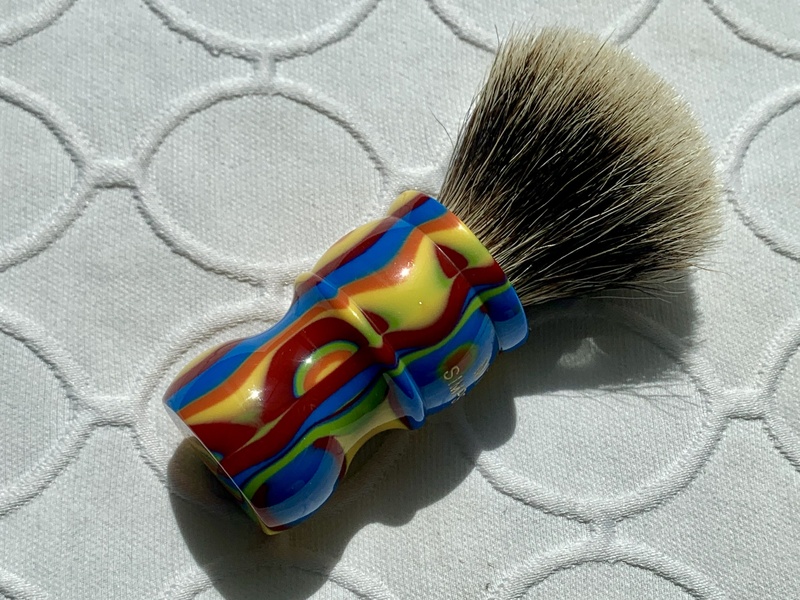 Great brush and great price! (03-19-2019, 01:46 PM)LOOT Wrote: oh no. 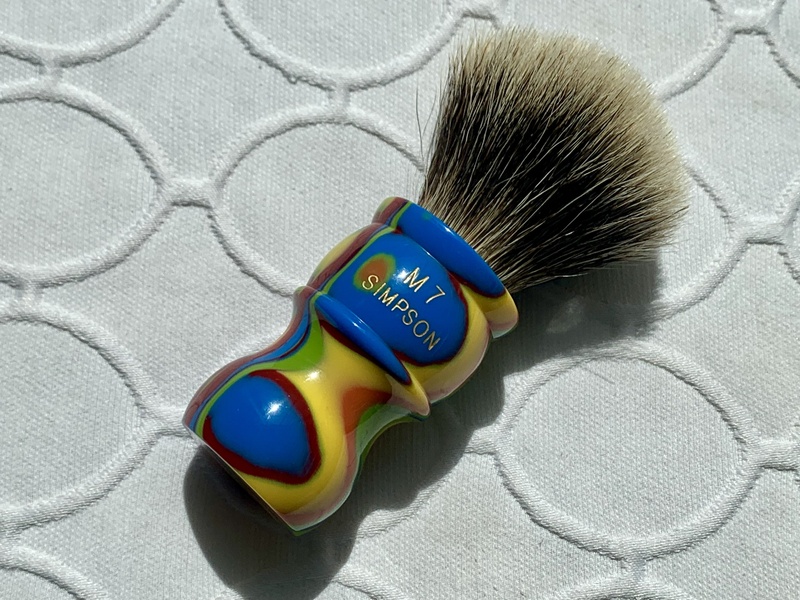 When I purchased this one from Simpson it was actually listed at 23mm, just for everybody’s information.